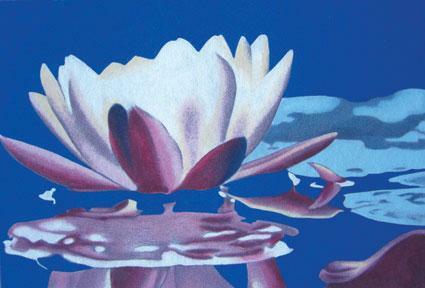 Beautiful, tranquil waterlilies, reflecting in the still water. Pre-shaded on non-woven. Measuring 34 x 25cm. Requires colours: 1, 23, 24, 25, 72, 82, 84.